5 large Nicely Riped Kesar mangoes puree..
Let your ice cream soften either at room temperature in your kitchen or in fridge (Not in Freezer). 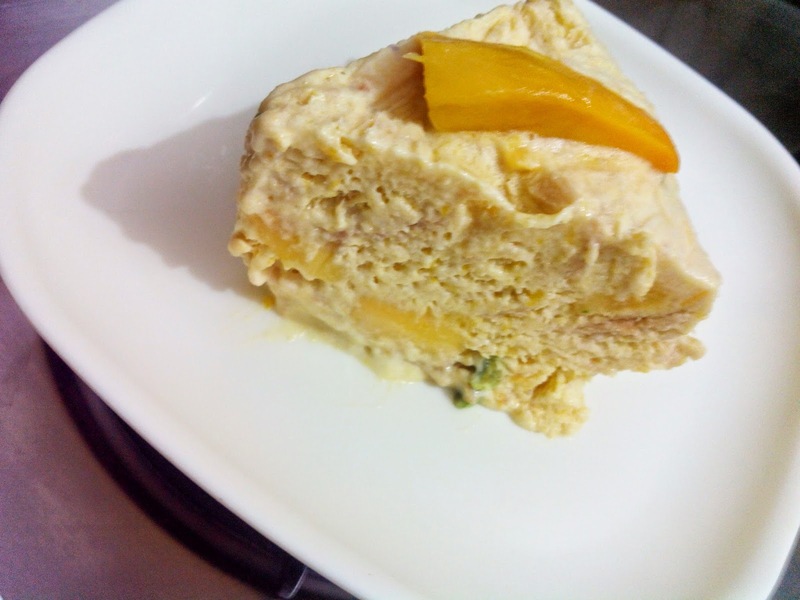 Once soften, empty the soften ice cream pints, Mango Wafer biscuit Crumbs, Kesar Mango Puree, Mango Pieces (Cut in to small cube shape), Semi pureed Lychees, Roasted chopped Pistachios and Roasted chopped Almonds in to the large bowl. Mix all well with your regular kitchen spatula or a beater. 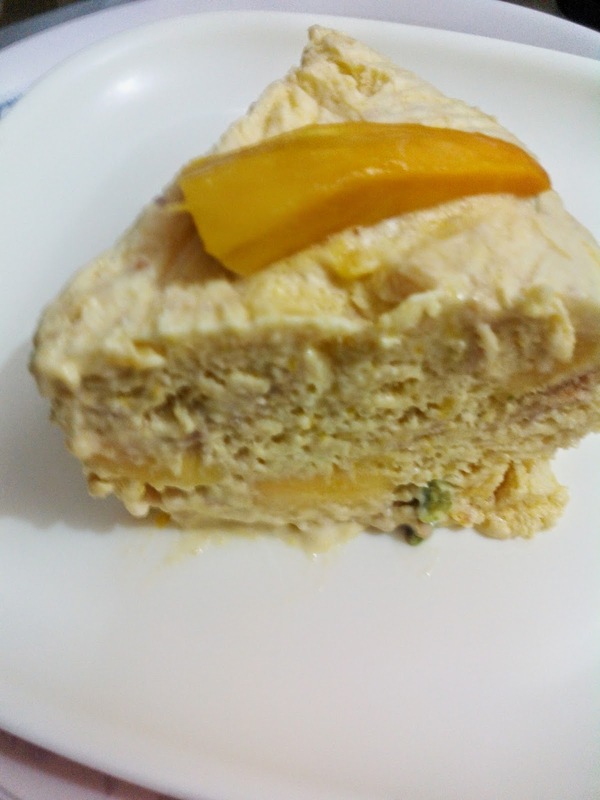 (Not the electric beater, else the wafer biscuits crumbs, chunks of mango, lychee, pistachios and almond will get pureed inside, so its better to use normal beater and mix all well). Line a plastic Cling film in a Cake tin and pour the Ice cream mixture in it, cover the top with cling film and place it in a freezer to firm up. 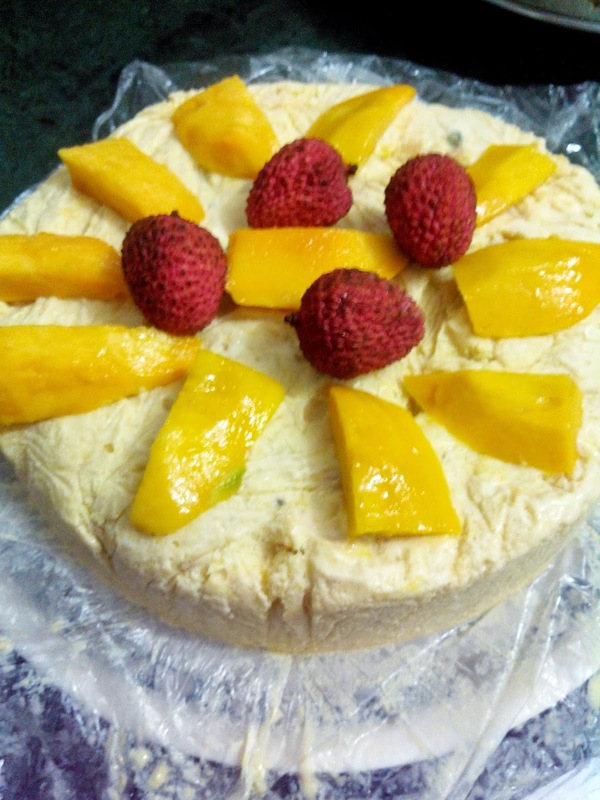 Before serving wait for 2 minutes, Open cling wrap on top and unmould the cake on to your serving plate, garnish with sliced mangoes and Lychess around. Cut the slice and serve with some more chunks of mangoes, roasted almonds and pistachios for little more crunch and Enjoy your dessert.